Whether you’re importing assets and locations into Maximo for the first time, or you want better data integration for Maximo, ActiveG PowerSync™ efficiently and easily synchronizes Maximo and GIS. Take advantage of Esri map services to simplify how you integrate data between GIS and Maximo. Once you link your GIS and Maximo data, you’re ready to start leveraging the tools already at your fingertips. 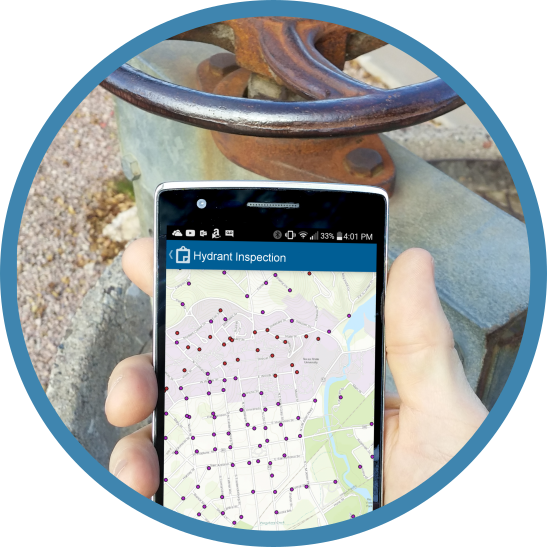 PowerSync now makes it easy to integrate Esri mobile apps like Collector for ArcGIS or ArcGIS for Local Government to gather asset inspection information and intelligently store and use that data in Maximo. And the best part is–you can deploy your integrated process in minutes, not days! Find out more! Quickly enables map visualization for Maximo. When coupled with ActiveG MapEngine, PowerSync does the map configuration in Maximo for you. 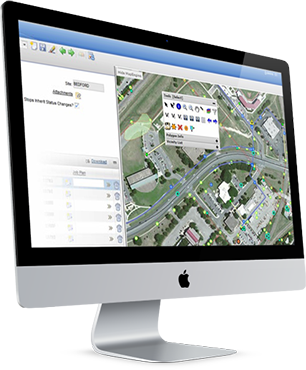 By simply running the synchronization, you can immediately start viewing and interacting with maps in Maximo. For instance, 1) configure PowerSync to import GIS hydrant data into Maximo, 2) run the sync, 3) see the hydrant records in Maximo, and 4) start using the map in Maximo to find or create work orders on hydrants. There are no extra steps to start visualizing maps in Maximo. It really is that simple. PowerSync uses the Maximo Integration Framework (MIF), so your data import is validated and guaranteed to be compatible in Maximo. ActiveG PowerSync’s modern web interface allows you to configure your data processing from anywhere you run Maximo. Install it once and it’s available to sync for anyone you authorize using Maximo security roles. Create/update Maximo Asset and Location data based on data changes in GIS. Insert and update Maximo specifications based on data changes in GIS. Concatenate complex strings together, via PowerSync’s intuitive interface. View log of all synchronization transactions via the web or email notification. Schedule the data import at periodic intervals or sync it on demand. New! Integration between ArcGIS mobile apps and Maximo meters/condition monitoring. Learn more. ActiveG PowerSync is designed for Maximo 7.5 and greater, and Esri ArcGIS Server 10 and greater. The City of Corpus Christi, Texas is using ActiveG PowerSync to keep Maximo and GIS in sync. Hundreds of thousands of GIS records were processed to quickly load Maximo Assets and Locations.